This three-year, ACGME approved, cardiovascular disease fellowship program is designed to develop the internal medicine residency program graduate into an expert consultative cardiologist capable of pursing a clinical or academic career or further subspecialty training in cardiovascular medicine. At the beginning of the program, the professional goals of the fellow are solicited, and a program is designed to facilitate the fellow's progress toward meeting those goals. During the fellowship, the fellow has the opportunity to pursue more specialized training in invasive cardiac catheterization, echocardiography, electrophysiology, nuclear cardiology, or computed tomographic cardiac imaging through program design and the appropriate selection of electives. The fellowship program follows the American College of Cardiology recommendations for Core Cardiology Training in Adult Cardiovascular Medicine (COCATS). The 2018 Cardiology Fellowship Newsletter is available. Read the newsletter to see the great things happening in the fellowship program. Inpatient training takes place at the University of Tennessee Medical Center (UTMC), a tertiary referral center and Level-I Trauma Center serving the entire East Tennessee region. During the consultative and critical care rotations, the fellow treats inpatients with the entire range of cardiovascular disorders. During the required and elective rotations, the fellow receives extensive training in electrocardiography, exercise stress testing, echocardiography, nuclear cardiology, and diagnostic cardiac catheterization. Higher level training is available in any of the above subspecialty areas at the fellow's request and with program director approval. 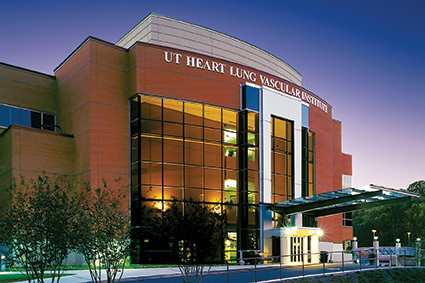 Ambulatory training takes place in the Heart Lung Vascular Institute, which adjoins the hospital. There the fellow evaluates cardiovascular disease patients in a private practice setting and follows the fellow's own panel of patients in a continuity clinic. Throughout the fellowship, the fellow works closely with a research mentor on a research project of the fellow's choosing. The fellow is provided with six months of dedicated research time during the third year of the fellowship to complete the research project. The fellowship program is an integral part of the University of Tennessee Graduate School of Medicine Department of Medicine program that has been in existence since 1956, with continued full accreditation since its inception. The UTGSM program has over 170 residents and fellows training in 10 ACGME accredited core residency programs and four ACGME accredited subspecialty fellowship programs. UTGSM provides fellows with an excellent support system, including nursing, pharmacy, library, laboratory, nutritional support, social workers, consultative support from subspecialists, and an excellent Resident Assistance Program. 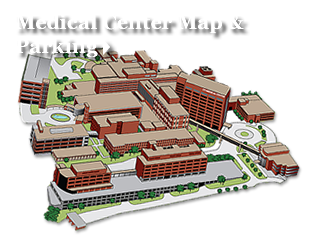 The University of Tennessee Medical Center(UTMC) has state-of-the-art diagnostic and therapeutic facilities with an electronic medical record system, the CoPath pathology information system, and the PACS radiology information system. UTGSM draws patients from a large geographic area in East Tennessee, southeast Kentucky, northwest North Carolina, and western Virginia. University of Tennessee Medical Center is a Level 1 Trauma Center, with three helicopters providing transport of critically ill patients, including numerous acute myocardial infarction patients. Due to the tertiary referral nature of the university program, a large number of patients with a broad spectrum of clinical pathologies are available for both clinical experience and research studies. 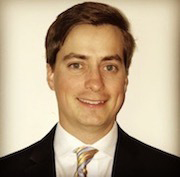 The Fellowship Director, Bret A. Rogers, has a distinguished academic career. He completed his residency at Duke University Medical Center in Durham, North Carolina in 2004. 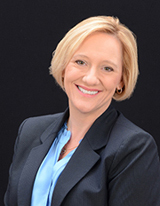 Dr. Rogers obtained his Cardiovascular Medicine Fellowship at The Cleveland Clinical Foundation, Cleveland, Ohio in 2007. His clinical focus includes valvular heart disease, hypertrophic cardiomyopathy, and transesophageal echocardiography. 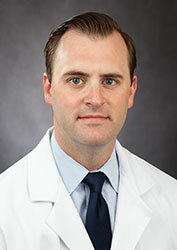 Bret A. Rogers, MD has a distinguished academic career. He completed his residency at Duke University Medical Center in Durham, North Carolina in 2004. Dr. Rogers obtained his Cardiovascular Medicine Fellowship at The Cleveland Clinical Foundation, Cleveland, Ohio in 2007. His clinical focus includes valvular heart disease, hypertrophic cardiomyopathy, and transesophageal echocardiography.